Custom Lobby Displays | Lobby display with float mounted clear acrylic backboard. The graphics are CNC routed HDU and PVC. 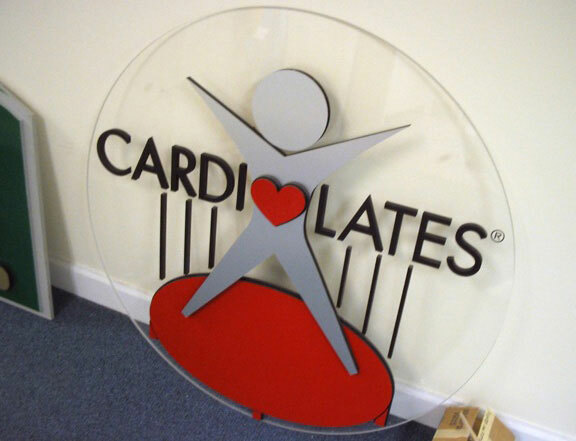 Lobby display with float mounted clear acrylic backboard. The graphics are CNC routed HDU and PVC.